I’m going to throw a few names at you-Frank Frazetta, Frank Miller, Drew Struzan and Sebastian Kruger. I’m guessing most people out there know one, if not two of these names, but trust me all four have affected our modern culture in various ways. 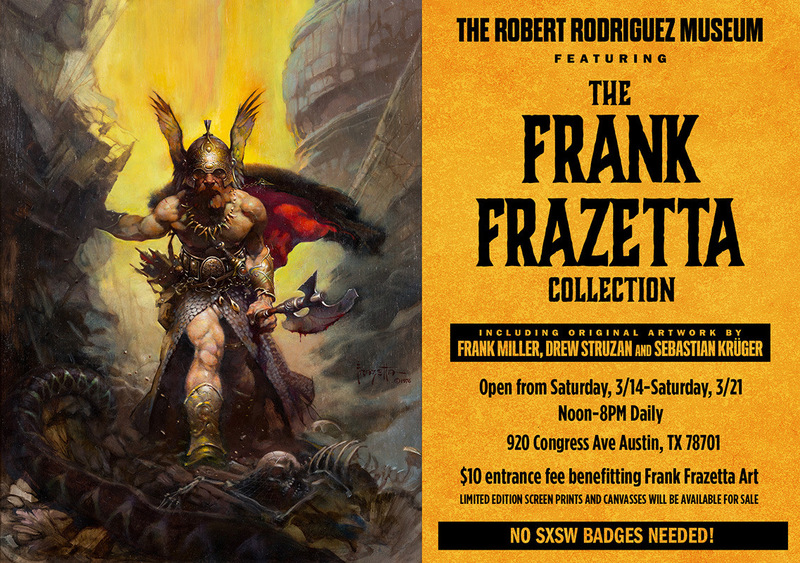 Frank Frazetta (born Frank Frazetta; February 9, 1928 – May 10, 2010) was an American fantasy and science fiction artist; noted for comic books, paperback book covers, paintings, posters, vinyl record album covers and other media. His best known work would be his work on comics such as Conan and the fantasy film Fire and Ice. He is one of the best loved fantasy artists of all times. Frank Miller (born January 27, 1957) is an American writer, artist, and film director best known for his dark comic book stories and graphic novels such as Ronin, Daredevil: Born Again, The Dark Knight Returns, Sin City and 300. He also directed the film version of The Spirit, shared directing duties with Robert Rodriguez on Sin City, Sin City: A Dame to Kill For and produced the film 300. 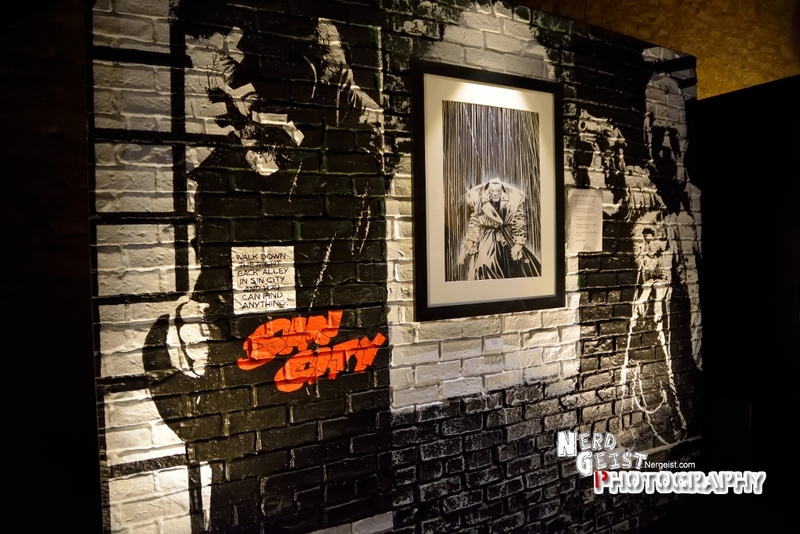 He is also known for creating the comic book character Elektra. Drew Struzan (born 1947) is an American artist known for his more than 150 movie posters. 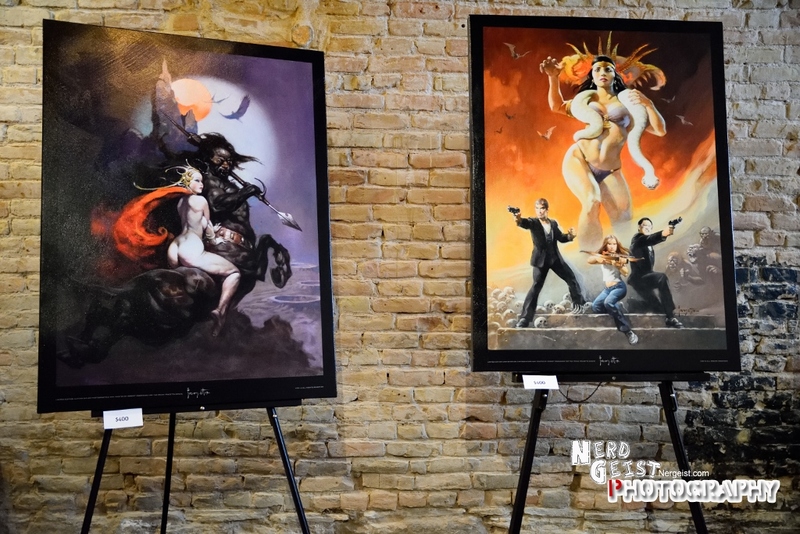 He has also painted album covers, collectibles, and book covers. I’m just going to throw this out there, all the big George Lucas film posters are his creations, his work is the stuff of legend and everyone knows his work. Sebastian Krüger (born June 30, 1963 ) is a German artist. After studying free painting with which he made a stunning reputation as the designer of a number of cover spreads for the press in Germany and abroad and as an illustrator and creative designer of various LP covers. He eventually stepped away from commercial work and devoted himself solely to free painting. Artistically he has developed, in recent years, away from the early role of the so-called “star caricaturist” to that of a star of the New Pop Realism. His artistic visions are treasured and collected by other stars of the pop scene, like the Rolling Stones, who are friends of his, and by art connoisseurs all over the world. Now what do these greats all have in common? 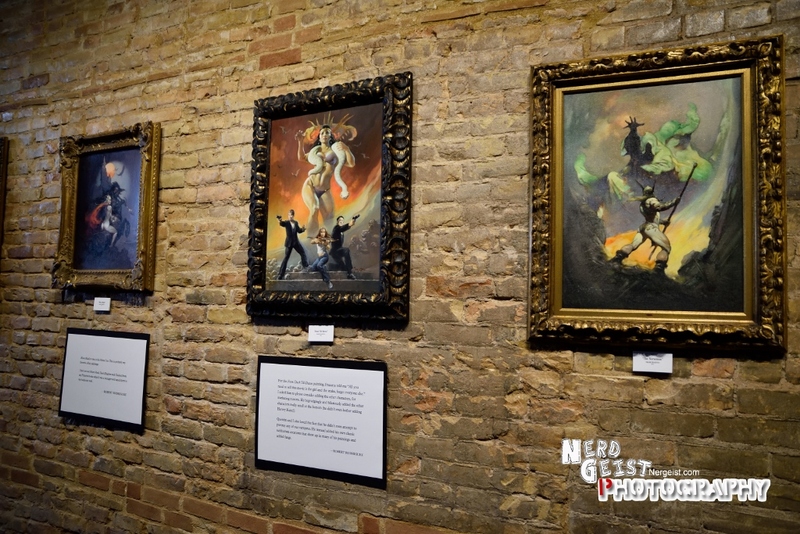 Director Robert Rodriguez has brought all there work together, as well as paintings created by some of the stars of his films and props from his films to create a gallery display like no other. This has to be one of my favourite events from SXSW 2015 and any fans of art, movies or pop culture should visit. There where many little gems of information gleamed from this exhibit, Rodriguez shows off a lot of his personal collection but more than that he shows off his own work and bears it for all to see, he even gave out some personal advice saying that we are all pipes and conduits for the creative energies and anyone can be creative, advising people to just go ahead and do something and not give into fear. I highly recommend our readers to go see the work when it visits a gallery near you and you will see that anyone can have potential plus the work is just beautiful. I myself purchased an art print of Fire and Ice as Rodriguez himself admitted that he is currently remaking the film and I really couldn’t miss this opportunity, so yes I totally nerded out.